Expressing its disappointment over the “shoddy, casual, laconical and insensitive” investigation conducted by the police in a case wherein the accused was ultimately acquitted by the Supreme Court of all charges in an appeal preferred against the concurrent findings of guilt entered against him by the courts below, the Supreme Court has in a judgment rendered today sought to remind the investigating agencies of their responsibility of securing the safety and security of the citizens and in the process, act as the protector of human rights. The Apex Court emphasized that as a criminal offence is a crime against the society, the investigating agency has a sanctified, legal and social obligation to exhaust all its resources, experience and expertise to ferret out the truth and bring the culprit to book. “The police force with the power and resources at its disposal is a pivotal cog in the constitutional wheel of the democratic polity to guarantee the sustenance of an orderly society. It is usually the first refuge of one in distress and violated in his legal rights to seek redress. The police force, thus is bestowed with a sacrosanct duty and is undisputedly required to be impartial, committed and relentless in their operations to unravel the truth and in the case of a crime committed, make the offender subject to the process of law. The investigating agency, thus in the case of a probe into any offence has to maintain a delicate balance of the competing rights of the offenders and the victim as constitutionally ordained but by no means can be casual, incautious, indiscreet in its approach and application. 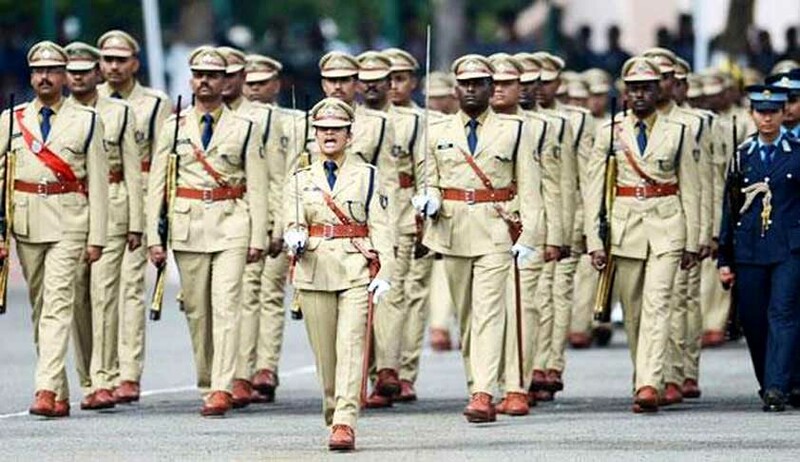 A devoted and resolved intervention of the police force is thus an assurance against increasingly pernicious trend of escalating crimes and outrages of law in the current actuality,” said a bench comprising of Justice V Gopala Gowda and Justice Amitava Roy. The Bench was considering a case where the mysterious disappearance of the wife from the company of her husband, in the train in which they were traveling on their way back home led to the appellant, the husband, being arraigned, convicted under Sections 304B, 201, 498A of the Indian Penal Code (for short, hereinafter to be referred to as 'IPC') and sentenced to undergo rigorous imprisonment for varying terms for the offences involved. The husband was in appeal before the Supreme Court against the judgment of the Patna High Court which had affirmed the conviction and sentence awarded to him by the trial Court. The appellant and his wife-Rani Archana Sinha, got married on 29.04.2007 in accordance with the hindu rites. Thereafter they planned their honeymoon trip to Darjeeling and proceeded thereto, by Capital Express on 10.08.2007. They alighted at New Jalpaiguri Station, and after visiting the places of their interest, as scheduled, they on 14.08.2007 boarded the same service for the return journey at 3 PM. As per the First Information Report (FIR) lodged by the appellant with the Mokamah G.R.P.S. on 15.08.2007, the couple had dinner at Katihar Junction at 8PM whereafter they retired for the night in their respective berths No. 33 (appellant) and No. 35 (Archana) in coach S–1 of sleeper class approximately at 9 PM. As per the version of the appellant, he woke up at 5:10 AM on 15.08.2007 at Bakhtiarpur Station, to find that his wife was missing from her berth whereafter, he started searching for her on the running train. According to him, when the train reached Patna Junction, he looked for her in the other trains also thereat. His plea was that on being enquired, the passengers in his coach did affirm that the lady was available in the train upto 0400-0430 hours. It was the appellant’s assertion that situated thus, he reported the matter first with the GRP, Patna and eventually lodged the First Information Report with Mokamah G.R.P.S. This information was registered, as FIR No. 26/2007 dated 15.08.2007 under Section 365 IPC between 0400 PM to 0500 PM. While the matter rested at that, on 18.08.2007 at 1430 hours, an information was laid by one Jagdish Chander Sharma resident of Village Daulatabad, P.S. Azam Nagar, District Katihar that on the same day at 1200 hours, he was informed by some children that a dead body was lying by the side of the railway track whereupon, he visited the spot and found the dead body of a female in a putrefied condition in a pit in a bush. According to him the body was lying prostate due to which the face was not visible. The informant opined that the death might have occurred due to fall from the train about four to five days back. He also described the wearing apparel of the dead body, to be “check green coloured salwar suite”. He mentioned about detached hairs from the head which were of black colour. An inquest of the dead body followed on 19.08.2007 at 10.10 PM and a report based thereon was prepared. The findings as recorded inter alia did disclose that nothing was clear with regard to the marks of assault of injury, as the dead body was in the process of rotting. While noting that both feet were “in semi absent position due to rotting”, it was mentioned as well that the dead body wore “sky coloured white and pink check salwar and sameeze”. It was inferred that the cause of death was due to fall from train. Meanwhile, the parents of Archana having enquired on 15.8.2007, at about 11 A.M. about her whereabouts from the appellant, they had learnt that she had gone missing from the train. Having come to know that a dead body had been recovered as above, the brother of Archana, Mr. Ravi Shankar Prasad requested his cousin Akhilesh Kumar to identify the same proposing that he would also reach the place for the same propose. Akhilesh Kumar, on a survey of the dead body was of the opinion that it was not of Archana. According to him, he along with others had visited the Sadar Hospital, Katihar to identify the body but failed to do so for certain reasons(see the judgment for the reasons) . The exact cause of death could not be ascertained and the viscera was preserved for forensic test. The report prepared on the basis of the autopsy, however, recorded that the time lag between the death and post-mortem examination was more than six days, suggesting thereby that death had occurred on 13.8.2007 or prior thereto. While the investigation on the report lodged by the appellant was underway, the mother of Archana, on 5.9.2007 lodged a complaint in the court of Chief Judicial Magistrate, Patna against the appellant, his parents, his brothers and sisters. As per the complaint, apart from being ridiculed for not getting selected in the judicial service examination to earn a living, her relevance in the nuptial house was also used to be questioned. Further, according to the complaint, her in-laws instructed her to bring Rs. 2.50 lakhs from her parents so as to complete the construction of their house and also to furnish the same. Besides expressing serious apprehension in view of the sudden programme of the couple to visit Darjeeling without prior information to her, the complainant also accused the appellant and his family members of a conspiracy to eliminate Archana so as to facilitate the second marriage of his (appellant) with the prospects of earning handsome dowry. The complainant, apart from alleging, that the FIR had been lodged by the appellant to misguide the investigation, accused him and his family members of having murdered her daughter Archana, in course of the journey and disposed of her body so as to efface all incriminating evidence. She expressed reservation about the course and quality of the ongoing investigation and requested that the complaint be forwarded to the Gandhi Maidan Police Station for lodging it as FIR and to initiate a proper investigation in order to make the accused persons stand trial. The complaint was madeunder Sections 304B/201/120B/498A IPC and Sections 3 and 4 of the Dowry Prohibition Act, 1961. The Magistrate Court committed the case to the Court of Sessions after the requisite formalities. Charge was subsequent thereto framed against the appellant under Sections 304B/201/498A IPC and to which he pleaded “not guilty and claimed to be tried”. At the conclusion of the trial, the appellant was found guilty and was convicted under Sections 304B/201 and 498A IPC by the trial court and was sentenced to undergo R.I. for 10 years for the offence under Section 304B IPC and for two years each for the offences under Sections 201/498A IPC. For the offences under Sections 201/498A IPC, the trial court also imposed a sentence of fine of Rs. 5000/- each, in default whereof, the appellant was to suffer S.I. for one month. All the sentences were ordered to run concurrently. Having unsuccessfully appealed before the High Court, the appellant sought redress before the Apex Court. Senior counsel Mr. R. Basant, appearing for the appellant while stoutly disputing the identity of the dead body, recovered in the course of investigation to be that of Archana, urged that even assuming without admitting it was that of the wife of the appellant, in absence of any proof that it was not accidental but homicidal, the offence under section 304B IPC cannot be said to have been established. He referred to the post-mortem report dated 19.8.2007 which recorded that the time lag between the death and the autopsy was more than six days, to assert that the dead body could not have been that of Archana as she was alive in the intervening night of 14.8.2007 and 15.8.2007. Apart from contending that the dead body was identified by Akhilesh, a relation of Archana, to be not that of her on a thorough examination thereof, which ruled out the probability that it was that of the wife of the appellant, Mr. Basant argued that the absence of any explanation whatsoever about the presence of poison in the dead body, did also conclusively evidence the fact that it was not that of Archana. He also dismissed the authenticity and the probative worth of the report of the DNA test on the ground that the same was neither conducted in an accredited laboratory as per the prevalent rules and procedure and also being bereft of any proof of the required scientific analysis of the sample being undertaken and the genuineness of the conclusion arrived at on the basis thereof. Apart from asserting that there was lack of authentic evidence with regard to drawal of the blood samples from the parents of the Archana for the DNA test, Mr. Basant also rejected the testimony of Dr.Shyam Bahadur Upadhyay (PW10), the then Director In-charge of Forensic Science Laboratory, Patna, Bihar (for short, hereinafter to be referred to as “FSL”) to be wanting in credence, amongst others, in view of his admission that he was neither an expert in the domain of DNA test nor had received any training in that regard. Mr. Basant further urged that in the absence of any convincing evidence on record that immediately before the incident, Archana had been subjected to cruelty/harassment by the appellantfor or in connection with the demand for dowry, the charges relatable thereto were wholly unfounded. He also argued that though in the course of evidence, it transpired that a personal diary of Archana had been retrieved, the same for inexplicable reasons had been withheld by the prosecution. It was his further contention that having regard to the proved circumstances pertaining to the travel of the couple in the train “Capital Express’ up to Katihar/Barauni Stations in the night between 14/8/2007 and 15/8/2007 during which the Archana was found cheerful in the company of the appellant, the prosecution version of poisoning her by him and disposing of her body in the dead of the night unnoticed by any of the passengers in the compartment was wholly impossible, impracticable, unrealistic and thus, ought to be rejected in limine. Without prejudice to these pleas, he maintained that the prosecution having utterly failed to prove that the wife of the appellant had died a homicidal death, his conviction under Sections 498A/304B/201 IPC by no means can be sustained in law, even assuming that the dead body was that of Archana. In reply, Mr. Subramonium Prasad, senior counsel, leading the arguments on behalf of the respondents, urged that the conduct of appellant of travelling to Patna and returning to Mokomah to eventually lodge a belated FIR about the incident, is not only opposite to normal human behaviour and reflexes, but also is a sinister index of his complicity in the crime. Besides underlining that the appellant had not even gone to see the dead body, he pleaded that the delayed FIR by him was a strategic move to screen himself from the incident and divert the investigation in the wrong direction. Mr Prasad was critical as well of the manner in which the prosecution was conducted contending that no sincere effort was made to elicit the truth from the material witnesses including the co-passengers in the train which indicated a foul play to shield the appellant. Whether Archana had died out of burns or bodily injuries or whether her death had occurred otherwise than in normal circumstances? If such death is proved, whether it could be accidental and neither suicidal nor homicidal? Whether soon before her death, she had been subjected to cruelty and harassment by the appellant and any of his relatives for or in connection with demand for dowry? The Supreme Court found on facts that it was very unlikely that the dead body recovered near Azamnagar station could have been, to start with, that of Archana, and that neither the parents of Archana nor any of her family members had claimed that the dead body is of hers. The Court referring to the finding recorded in the post-mortem report as to the probable time of death said that it ruled out the possibility that the body was that of Archana as she was alive and travelling in Capital Express in the intervening night of 14.8.2007 and 15.8.2007 much past the Azamnagar Station. The bench also noted the inconsistency in the discrepancy of the wearing apparels of Archana and that of the dead body. It also said that the DNA test report and the evidence of PW10 failed to inspire the confidence of the Court to accept the same as the basis to hold that the dead body was that of Archana. “The above factors, if taken cumulatively, we are constrained to hold that the prosecution has failed to prove beyond reasonable doubt that the dead body retrieved from the bush near the railway tracks in the vicinity of Azamanagar Police Station was that of Archana,” held the Bench. The Apex Court said that on the basis of the investigation and the materials produced, the prosecution has failed to prove the factum of death of Archana. The Court also found that having regard to the contents of the complaint dated 5.9.2007, there had been visible improvements with regard thereto at the trial which made these imputations untrustworthy on this ground also. The bench reasoned that even assuming that the suggested case of the prosecution was that the appellant had administered poison to Archana after the train had reached Katihar junction and that thereafter he had disposed of her moribund body out of the running train, it was very unlikely that theseactivities would have gone unnoticed by any of the passengers in the packed compartment of a sleeper coach. The Court reached the categorical finding that in the facts of the case, the presumption engrafted under Sections 304B IPC and 113B of the Indian Evidence Act was not available to the prosecution as the essential foundational facts to trigger such presumption have remained unproved. The prosecution, the Court said, had failed to establish beyond reasonable doubt the death of Archana. It reiterated that the evidence as a whole bearing on dowry demand and harassment or ill-treatment in connection therewith, was also not convincing. The Supreme Court thus held that it would be wholly unjustified to uphold the conviction of the appellant for the offences charged on the basis of the evidence, oral and documentary adduced by the prosecution, and allowing the appeal, exonerated the appellant of the charges. Thereafter the Apex Court proceeded to record its disappointment at the shoddy investigation in the case. It emphasized that as a criminal offence is a crime against the society, the investigating agency has a sanctified, legal and social obligation to exhaust all its resources, experience and expertise to ferret out the truth and bring the culprit to book. The Court said it was left appalled by the incomprehensible omissions of the investigating agency in the instant case and said it would expect and require that the authorities in-charge of ensuring fair, competent and effective investigation of criminal offences in particular would take note of this serious concern of the Court and unfailingly take necessary remedial steps so much so that its observations would not have to be reiterated in future entailing punitive consequences.